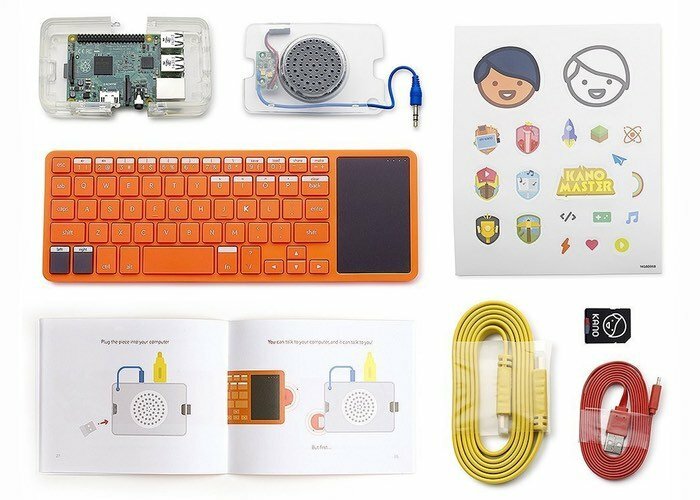 Kano the company behind the crowd funded Raspberry Pi computer kit has this week announced that their range of products will be available to purchase from both Toys R Us and Barnes & Noble retail stores very soon. After raising 15 times more than its original Kickstarter pledge goal the team has shipped over 100,000 kits to customers around the world. Check out the video below to learn more about what’s inside and the inspiration behind this Raspberry Pi mini PC kit. We are incredibly excited to add Kano to the growing assortment of STEM-related offerings at Toys”R”Us, especially at a time where the next generation is more immersed in technology and parents are looking for ways to marry education, play and real life skills that can truly impact their children’s future. This category is an important one on both a national and global scale and we look forward to introducing the world of coding to our U.S. customers who are looking for products that offer brain-boosting fun. – A computer anyone can make. With simple steps and a storybook, build your own computer and bring it to life. For ages 6-106. – With playful projects and challenges you’ll learn to code art, music, apps, games and more. – Includes everything you need. Raspberry Pi 3, case, speaker, wireless keyboard, memory, HDMI and power cables, coding challenges, and stickers! – Connect to any HDMI screen, or buy the Kano Screen Kit. – Award-winning (Family Choice Award, Webby Award, Red Dot Award, Cannes Gold Lions).